$400. The Sports Play 4-in-1 is the ultimate inflatable interactive sports game for your next party. 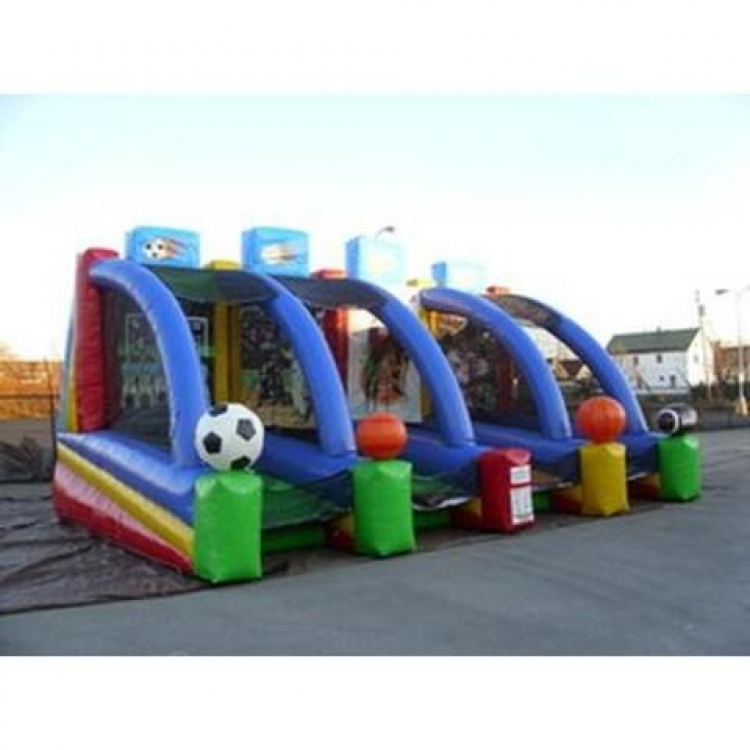 Up to four people can play this inflatable game at the same time. Players can kick a soccer ball though the goal, throw a baseball at the strike zone, shoot free throws and throw touchdown passes through the targets. It's a sports fan or athlete's dream come true! Includes Basketballs, Soccer balls, Footballs, & Baseballs. Measures 18x28x15 and includes 2hp blower. Item must be delivered by Metz Amusements.